“In this town, the words 'stifle OCD' are cause for great angst and concern,” said Dr. Kathleen Paasch of Rood and Riddle Equine Hospital at a client education seminar earlier this year. “If you're a veterinarian and you write these words on a report, you'd better be prepared to answer some questions. Paasch said the prevailing wisdom seems to be that stifle issues negatively impact the value of horses, but she asserts not all stifle findings should be cause for concern, depending on the type of lesion, its location and the age of horse. 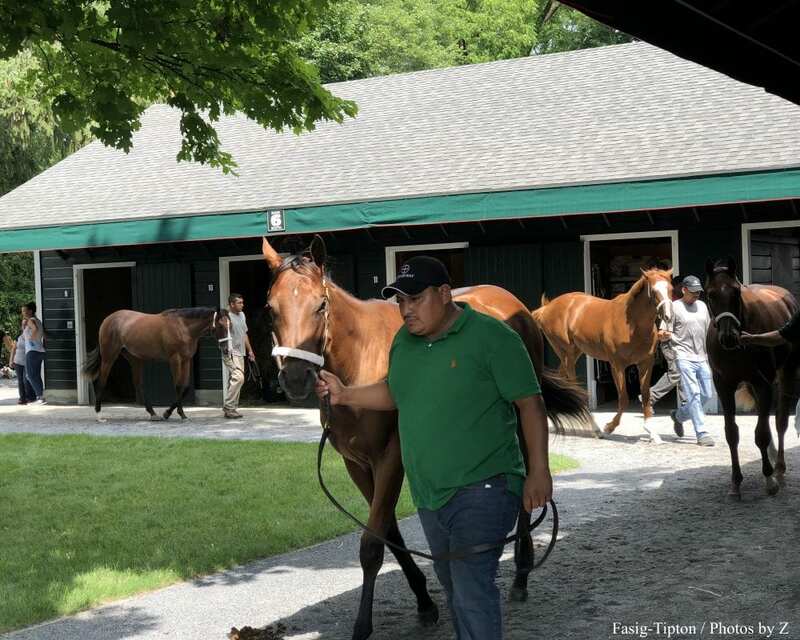 Paasch said it's not uncommon for her to find lesions on radiographs of foals and weanlings as they are prepared for sale as weanlings or yearlings. These generally heal before the horse will actually go to sale. Lesions found when the horse is around 10 months old will also likely heal but could need surgery to ensure this happens properly. “Just because a horse needs to have surgery on a stifle, doesn't mean you should write him off,” she said. It's also fairly common to find evidence of old stifle lesions on adult horses, but as long as the horse isn't lame, Paasch said this is insignificant. The most common spots to find a stifle problem are the lateral trochlear ridge or the medial femoral condyle, which are on the top part of the joint viewed from the side. The latter is a weight-bearing surface, while the former is not. Lesions on weight-bearing surfaces are more concerning than those on non-weight-bearing surfaces. Logically, the larger the lesion, the more cause for concern. “The majority of lesions will end up healing on their own. Some will require surgery, but that's not always a big deal. If surgery is needed, most of those horses perform well,” Paasch said. “The most concerning lesions are those that are non-surgical and occupy a large part of the joint. This entry was posted in Horse Care, NL List and tagged dr. kathleen paasch, ocds, Rood and Riddle Equine Hospital, stifle ocds, yearling auctions by Natalie Voss. Bookmark the permalink.